Washington, DC, October 8, 2011 – Sue Peschin, a leading advocate for public policies supporting Alzheimer’s disease research and services for affected families, will join the Alliance for Aging Research beginning January 2012, it was announced by the Alliance today. Ms. Peschin will serve the not-for-profit Alliance for Aging Research as Chief Operating Officer, a new senior executive position created for her. In her current position Ms. Peschin is vice president of public policy for the Alzheimer’s Foundation of America (AFA). The AFA is based in New York City, but Ms. Peschin has served as AFA’s representative in Washington, DC, since 2007. “Sue Peschin will add significant leadership power to Alliance for Aging Research advocacy efforts to elevate scientific and medical research to improve the health and quality of life for every aging American,” said Dan Perry, president and CEO of the Alliance for Aging Research. “Sue has been a superb champion in the nation’s capital representing the Alzheimer’s Foundation of America. Her collaborative style has earned her the respect and admiration of many allied non-profit and scientific organizations and well as policymakers,” Perry said. Founded in 1986, the Alliance for Aging celebrated a 25th anniversary in 2011. 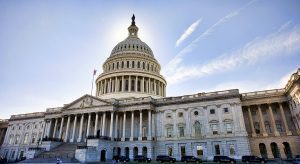 The organization advocates for increased funding for the National Institutes of Health, the Food and Drug Administration, the VA, and other federal agencies supporting medical and scientific research to advance healthy aging. The Alliance chairs a coalition of more than 50 national organizations supporting a clear and predictable regulatory pathway for new treatments against Alzheimer’s disease. The Coalition is called ACT-AD, for Accelerate Treatments and Cure for Alzheimer’s Disease. Prior to her current position with the AFA, Ms. Peschin founded Discover Inspiration, a consulting firm providing advocacy training for business and non-profit clients, advocated for national women’s and public health organizations with The Sheridan Group, and held staff positions with the Consumer Federation of America, Hadassah, and the Violence Policy Center. She holds an advanced degree in health policy from the Johns Hopkins Bloomberg School of Public Health.